Languages have various ways of adjusting valency by either, increasing, decreasing or simply rearranging the syntactic valence of clauses. This paper focuses on the various valency adjusting strategies in Raga. 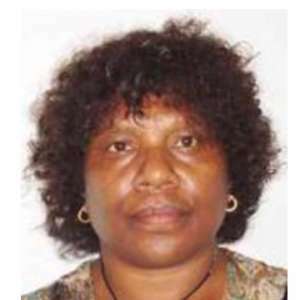 Raga, genetically, is a member of the North–Central Vanuatu subgroup of the Oceanic languages in Vanuatu, a multilingual country with over a hundred indigenous languages. Raga is considered as one of the biggest languages of Vanuatu with around seven thousand speakers. Data for this study was collected during a fieldtrip and observations on the northern part of Pentecost where Raga is spoken as well as in Port Vila. The analysis shows that Raga follows a SVO constituent order and it is a nominative accusative language by distinguishing the subjects of both transitive and intransitive verbs from the object of the transitive verbs. Although much has been written on Raga, little has been written on its valency adjusting devices and therefore the purpose of this paper is to focus on the valency adjusting strategies. Analysis shows that Raga applies a range of structures as a means of adjusting the grammatical relations and semantic roles of verbs to their arguments. Like other Oceanic and Vanuatu languages, valency increasing and valency decreasing devices are common in Raga and both these valency adjusting devices mostly occur morphologically through the morphological fusion between the predicate of cause and that of effect. Causative as well as transitive clitics with an applicative role are two strategies, through which Raga verbs increase their valence. On the other hand, valency decreasing strategies in Raga comprise de-transitiviser, anti-causative, and verb reduplication. These valency increasing and decreasing devices play a very important role in modifying the syntactic and semantic relationships that exist between the verbs and their arguments in Raga.